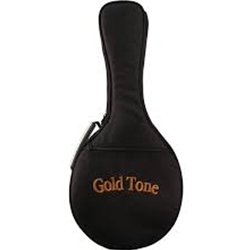 The Gold Tone resonator banjo bag offers tremendous protection for your beloved instrument. The Gold Tone HBJ gig bag features rugged nylon exterior with ergonomically designed loop-handle placement. Also features a stiff padded handle, music pouch, plush lining, and heavy padding.